or provide bad experience to more than 50% of your email subscribers! Because the use of mobile phone to read and respond to emails is growing rapidly. rise to more than 50% by the end of 2013! These stats clearly indicate that if you are launching a campaign targetting USA, UK or Australia, ensure your emails are optimized for smartphone users. 43% of mobile email users check email four or more times per day, compared to only 29% of those who do not use mobile email. Email Opens: There is no second chance! Just 3.3% of users have viewed a single email in more than one environment. Users who have recently read email on their mobile will do so again about 45% of the time. This means that nearly 97% of emails are viewed just once and there is no second chance! Consumers are adapting mobiles for routine email communications! Mobile is the most preferred device for checking out emails during weekends. Also, let’s understand which devices are most used throughout the day for Emails. Mobile or Smartphone usage is more prevalent in the morning and evening hours. What Motivates People to read Emails on the Mobile Devices? eyeballs the most, followed by delivery and order information. 75% of the companies do not create mobile friendly emails and continue to lose out on the ROI. What is Responsive Mobile Email? Responsive email design uses CSS3 media queries to display different layouts of an email depending on the size of the viewing screen. You can display or hide elements for a true mobile experience. Email Monks is a superfast yet cost effective mobile friendly email design and coding services provider. 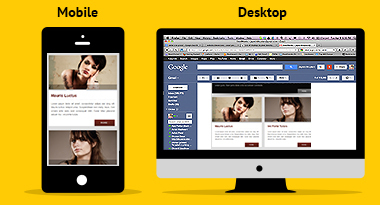 Responsive email html coding starts at $74/email. 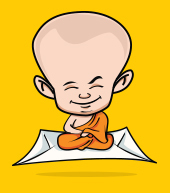 Visit www.emailmonks.com for more details.